While the device lets parents control things like the internet access time limits and filters, as many other services do, it also gives a single button option to ‘pause’ internet access for all devices immediately. There’s also a BedTime mode, which can be tailored to individual family members for different sleep times. Once you’ve set a time, devices for that person will disconnect at BedTime and reconnect in the morning. You can also use it to block ads across all devices, or apply a guest profile for when you have friends round. All connected devices are managed via the accompanying iOS app. 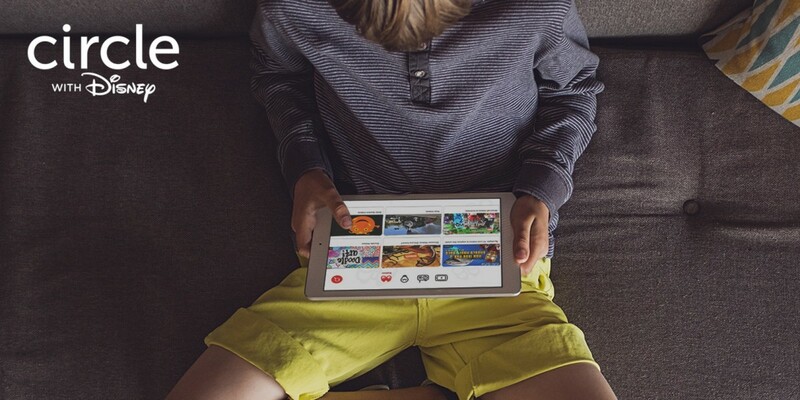 Perhaps most reassuringly for parents, ‘Circle with Disney’ also shows you exactly where kids spend their time online, viewable by platform, category and individual websites. The device also promises to let parents keep tabs on their children’s mobile internet usage too, via the Circle Go iOS app, but that won’t be arriving until early next year. Circle with Disney is available to buy from today for $99, it’s just a bit of a shame it conjures up such unpleasant connotations for anyone who has read Dave Eggers’ excellent book called ‘The Circle,’ which is largely based around the monitoring capabilities and role of technology provided by a company of the same name.